I'm all crazy heart eyes over this one! 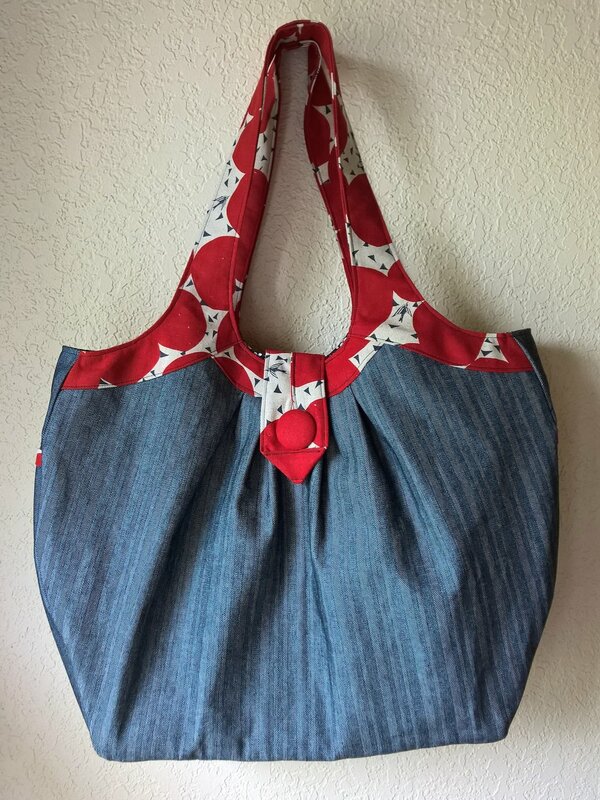 I've made easily a half dozen versions of this bag, and I always say each new edition is my favorite, but seriously, this one has to be my fave! 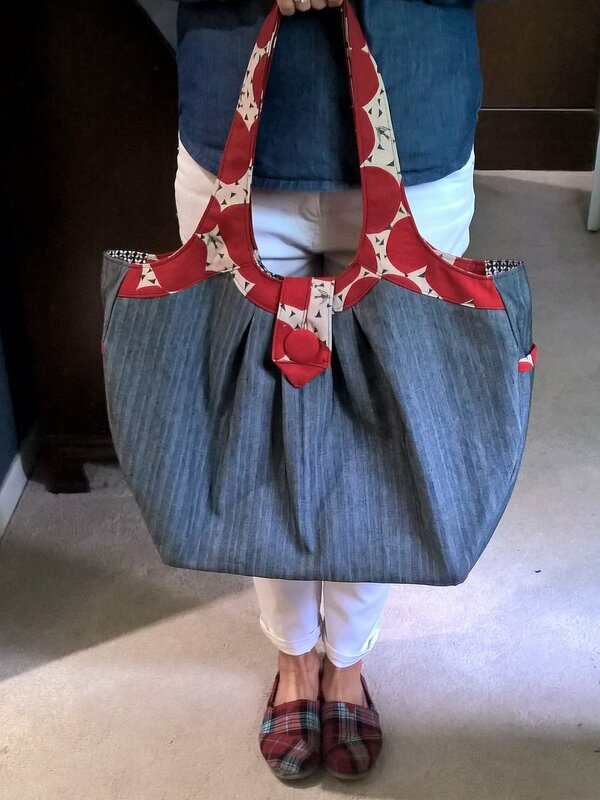 I used a herringbone denim from Robert Kauffman for the exterior body of the bag. This denim is SUPER sturdy; not only is this bag relatively bullet-proof, but I did not need to interface the denim -- win! For the handles I used an Echino linen-canvas blend from Fabricworm. Although this fabric is sturdier than a standard quilting cotton, I did choose to interface the handles for this version (I don't always interface when I use canvas). This denim is so heavy I wanted to be sure that the handles would be extra sturdy, too. As usual, I used Cotton + Steel for the lining. I had to talk myself out of scouring my favorite online fabric shops to impulse hoard all the Cotton + Steel prints by the original 5 designers when I heard the news those ladies were leaving... Ack! I am eagerly waiting to hear where these talented designers land, since their work usually makes up the bulk of my stash. A plethora of pockets is a must in any bag I carry, especially exterior pockets. This bag has that in spades. Four interior slip pockets and two exterior pockets help me keep track of all my essentials. The exterior pockets make it easy to grab my keys, phone, sunglasses, and my most essential item - my coffee tumbler! But I'll share one of these! I know, I just can't stop with the navy and red vintage Americana vibe; but seriously, how awesome do these look?! After making my earlier two versions with the polka dot handles available in my Etsy shop, I knew I had to make a similar one for me to keep. Proving I have a serious addiction to this color combo, here I am inadvertently matching my newly finished bag with shoes and my outfit of the day on IG's #memdaemay challenge. I may need help, people.